Jordy Silverstein reviews the 2017 Berkshire Conference on histories of women, genders and sexualities. In the last few days of May, the planes travelling from Australia to New York were delightfully laden with feminist historians. 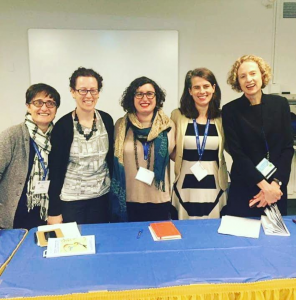 We were all headed to Hofstra University in Hempstead, Long Island, New York for the Berkshire Conference on the History of Women, Genders, and Sexualities. Or, as it’s affectionately known, the Berks. The Berks provides a space for women and feminists to come together to present papers, hold conversations, learn from each other, and be challenged. Over the years a perhaps surprisingly large number of Australians have attended the conference, and – amongst people from a wide range of countries, and across the US – this year was no exception. Carla Pascoe, Zora Simic, Jordy Silverstein and Mary Tomsic enjoying the surrounds of Hofstra University. Image via Catherine Kevin. As an explicitly feminist space, the Berks tries to subvert ideas of what constitutes a conference session and what can be accomplished within the conference space. 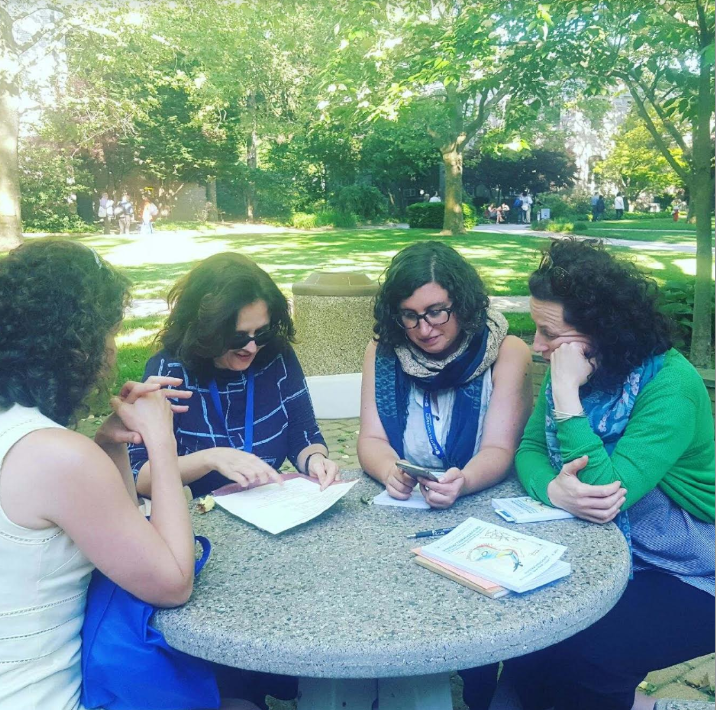 As a result, over the few days of the conference (from June 1-4) I managed to attend only a couple of standard 3 x 20 minute papers sessions – most of the sessions were conversations, roundtables or workshops. In the CFP, the Berks called for people who wouldn’t normally submit to a conference to attend and present. As they noted in the President’s welcome in the conference program, this conference ‘to a greater extent than ever before’ involved ‘K-12 teachers, activists, artists, public intellectuals, writers, performers, veterans, and formerly incarcerated people in our discussions of the importance of studying our history and how we might utilize this knowledge to make people’s lives better.’ With a theme of ‘Difficult Conversations: Thinking and Talking About Women, Genders, & Sexualities Inside and Outside the Academy’, and a program spanning 150 pages, the Berks 2017 was a rich and enriching experience. The first session I attended was one that highlighted the intergenerational impulse of the Berks: that it is through conversations which span the generations that we can all properly learn, understand, and grow in our thinking and writing. 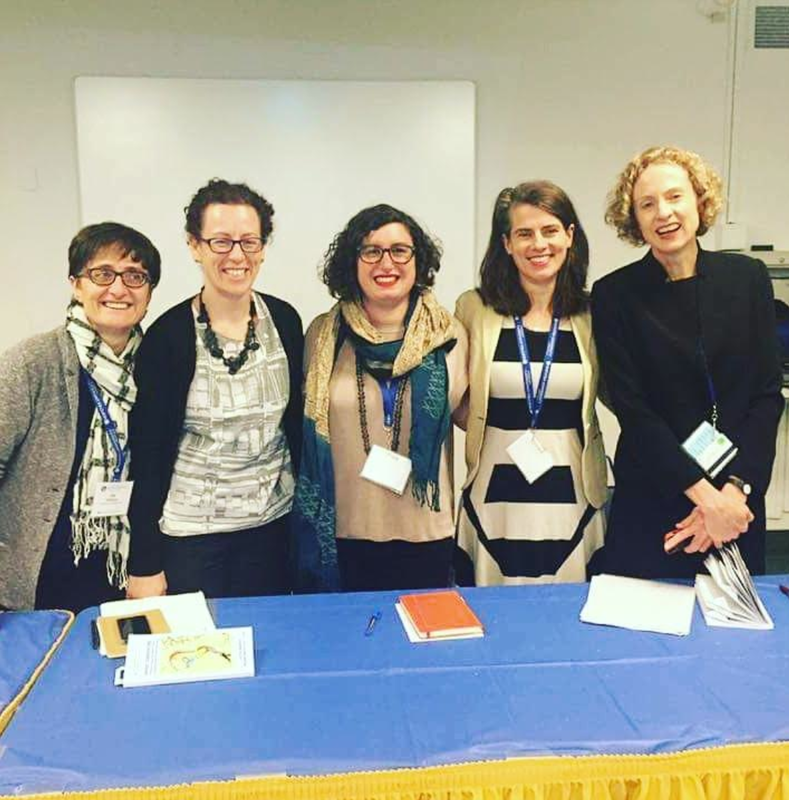 Entitled “Justice, Justice We Shall Pursue: Jewish Feminist Activist Responses to Israel/Palestine Since the 1970s”, it featured five feminist academics and activists who have done considerable work on this issue. The moderator explained that this conference was the first time that the topic of Palestine had been raised at the Berks, and a group of academics had ensured that across the conference there would be a range of panels that took up the topic from a range of different perspectives. In this panel we heard about the necessity to ground ourselves in our own histories in order to think and act universally, and to build movements that enable all to feel a sense of self-respect and community. We thought about the necessity of being open to people who are questioning and seeking to learn, and thinking about the ways that we are complicit in systems which go against making a feminist world. Joy Damousi, Mary Tomsic, Jordy Silverstein, Catherine Kevin and Jane Lydon celebrating the success of their panel on Australian women and child refugees. Image via Catherine Kevin. Another conversation entitled “We Need More Stories: Sharing Tales of Social Justice, Intimacy and Resistance” offered those in attendance a series of stories that could revolutionise the way we teach history in universities. Challenged to rethink the histories, stories, individuals, and groups we prioritise teaching, speakers from organisations such as Women with a Vision and Front Porch Research Strategy argued for the need to re-evaluate what is considered success and the ways we narrate stories of success; the need to tell stories of grassroots organising rather than of top-down saviours; and to foreground women – and particularly women of colour – in the stories that are told. Reminding us of histories such as the 1974 August Rebellion at Bedford Hills Correctional Facility, the five speakers related a lesson that most of us know well. Yet it bears repeating, for it is easy to forget when our teaching becomes cumbersome and our preparation time limited: when there is an option to tell a story of a woman, or a women’s collectivity, rather than of men, we should take that option. Our feminism, as feminist historians, should be part of every aspect of our teaching, even (or especially) when we’re not teaching explicitly feminist subjects. It should be part of our methodology and part of our subject matter. Other panels took up questions of women’s representation on television, of domesticity and intimacy, of violence against women, of archival practice and what a feminist approach to archiving and working with archives and archivists in our research and teaching can look like. And the conference concluded for many of us with one of those truly uplifting panels, where you spend half the time listening, and half the time scribbling ideas for how to write that introduction you were struggling with. Bringing together Tiya Miles, Sarah Schulman, Martha Hodes and Leslie M Harris, we thought through the practice of history writing and narrative shaping, pondering ways of expanding understandings of the story-telling potential of documents, of memories and interpretations; the ways that the imaginative can best be utilised in the service of writing history; and the role that we have as historians to impart some kind of wisdom to all kinds of audiences who may read our work. And like any other conference, it’s in large part the conversations and bonding outside the formal sessions that make the conference special. From the reception to welcome international participants on the first evening, to the ‘Dyke Interrupted’ performance by Holly Hughes on the last, the Berks created spaces for those interactions. On the Saturday night the famous Berks dance occurred, bringing together a truly intergenerational group of participants to dance in the most dorky way possible. It was truly endearing. And amongst the conversations that we Australians were inspired to have, plans were concocted for an exciting AWHN conference in 2018. So stay tuned for more information! Jordy Silverstein is a Postdoctoral Research Associate at Melbourne University, working as part of the ARC Laureate Fellowship Project ‘Child Refugees and Australian Internationalism: 1920 to the Present’. 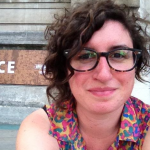 Her research focuses on histories of Australian government policy towards child refugees since the 1970s, as well as histories of Jewish sexuality, identity, and memory. She is the author of Anxious Histories: Narrating the Holocaust in Jewish Communities at the Beginning of the Twenty-First Century (2015), and co-editor of In the Shadows of Memory: the Holocaust and the Third Generation (2016). Follow Jordy on Twitter @jewonthis. This entry was posted in Conference review. Bookmark the permalink.